After learning to scuba dive, I put diving the Bibb on my list of things to do in my life. The U.S.C.G.C. Bibb was the ship my grandfather served on in the Pacific theater during World War 2. I was very young when I learned that the Bibb was sunk off the coast of Florida as an artificial reef. It never occurred to me that I would ever get to see it in person. I had heard a number of stories about the Bibb and was told that during its service in WWII, it was the ship that carried the Admiral of the fleet since the Bibb, being a Coast Guard ship, was one of the smallest of the U.S. Navy fleet. I brought one of my camera so I got some photos and video of the experience. The United States Coast Guard has a page on the history of the Bibb with a bunch of photos of its early history, so be sure to check that out. Below are some photos my aunt sent me. The picture above actually has my grandfather in it. 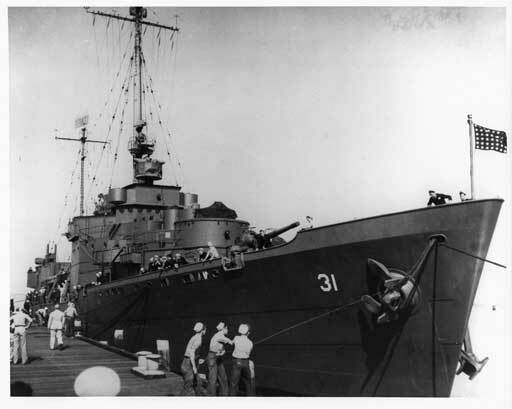 He’s standing on the deck of the ship looking at the camera, to the left of another sailor in white, just to the left of the deck gun that’s in the center of the photograph. It’s hard to see in the photo of this size, but it’s him. The Bibb was sunk in November 1987 off the coast of Key Largo, Florida. The sinking did not go exactly as planned and the Bibb now lays on her side at 130 ft. 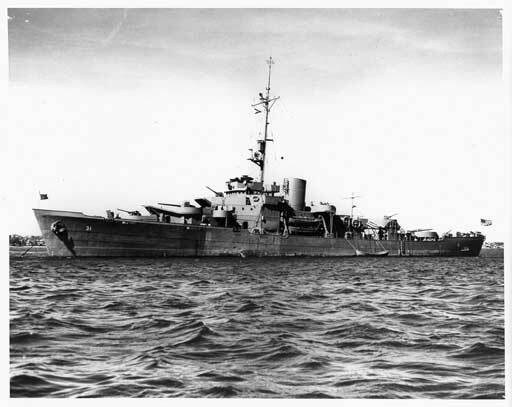 Unlike her sister ship, the USCGC Duane was sunk properly and rests upright less than half a mile from the Bibb. As a result, the Duane is a more popular dive since it is upright and its depths can be reached more easily by less skilled divers. 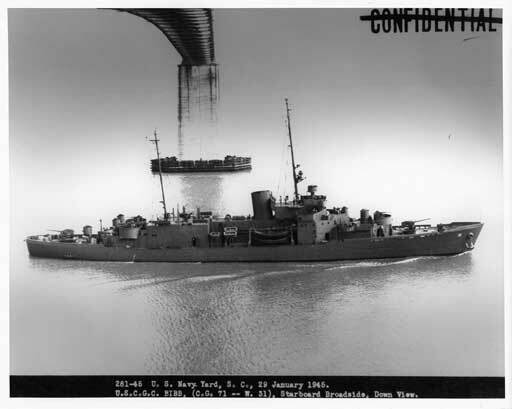 The Bibb was refitted several times throughout her service in the Korean and Vietnam wars and in later peacetime operations. Here’s a photo of the Bibb prior to her sinking. There’s a rear crow’s nest that was installed after World War 2 that we witnessed on our dive as we approached the boat from the stern or back of the boat. If you’re interested in reading more about the history of the Bibb, you can head over to the U.S. Navy’s military history website for more info. The ship is a popular dive site in the Florida Keys and is easily accessed from dive shops in and around Key Largo. The one we dove with was the Florida Keys Dive Center, which I highly recommend for any dives on the Bibb, Duane or any of the sites in that area. 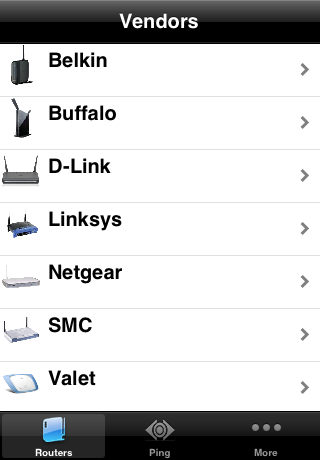 If you’re a GPS nut like me, you might like the GeoHack Bibb location, which has the location in every format, from downloadable GPS coordinates to online maps like Google Maps. After our dive on Davis Ledge (Dive Spots link) and Pleasure Reef on the first day, the next day we headed out in the early morning to dive the Bibb. We hit the water at 9:17 AM. My tank had about 2900 PSI of enriched air nitrox 31 (31% oxygen, as opposed to the normal 21%). The water was a beautifully warm 84 degrees fahrenheit. After entering the water we had to swim on the tag line, which ran from the current line (runs off the back of the boat so divers don’t drift and can stay close to the boat until the rest of the group is in the water) to the front of the boat. The current was so strong that there was no way to stay in position without the tag line. If you turned your head perpendicular to the current, your mask would be pulled off your face if it wasn’t tight enough. We descended on the trip line, which runs from the surface to the back of the Bibb. We looked like flags on a flag pole as the current pushed us in a horizontal position. The bubbles from the divers already on the wreck looked like a school of jelly fish and the normal sized bubbles grew to about four times their size as the pressure decreased on their way to the surface. Down on the actual wreck, we only made it to about the middle of the ship before we had to turn back. At that depth, you consume about four times the amount of air that you normally consume near the surface. With nitrox and the increased air content, it allowed us to breath less heavily and increased our bottom time (enriched air nitrox also increases no decompression time limit for nitrogen off gassing in the system). That’s the beauty of nitrox and it’s a great certification to get if you’re interested in longer bottom times while scuba diving. The Bibb had 6 other sister ships that were part of the Treasury Class Cutters (or sometimes Secretary Class) during that time. They were named after Secretaries of the Treasury. The USCGC Ingham, is on display at Patriots Pointe Maritime Museum in South Carolina, and the USCGC Taney, on display in the Baltimore, Maryland Maritime Museum, are the only ships still afloat. 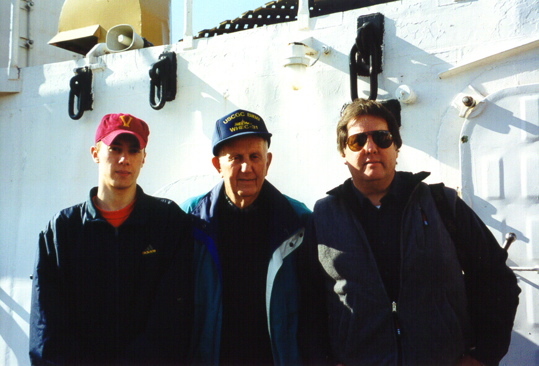 We visited the Taney once in 2001 for my grandfather’s 80th birthday and again in 2006 with a friend. Seeing the Bibb at the bottom of the ocean, I instantly recognized each part of the structure and it was an incredible experience to know that my grandfather had spent much of his youth on board, in the middle of the Pacific Ocean with Kamikazes and Japanese submarines. Penetrate and explore the inside the USCGC Bibb – This one will take a lot of additional dive training and experience as wreck penetration dives are similar to cave diving and is one of the most dangerous forms of diving. To penetrate a wreck this deep, several tanks will be needed and additional technical dive training will need to be made since staying down that deep and that long requires decompression intervals, which can not be performed with a regular recreational certification. Scuba dive in the Pacific Ocean – This one will be much easier to accomplish but still something I want to make sure I do. I have plenty of opportunity to dive out in California, but I think I’m going to shoot for a place that’s a little more exotic to me and dive with manta rays, hammerhead sharks, and whale sharks in the Pacific side of Colombia. Ana and I already have a trip planned in December when we go to Colombia for Christmas, so this will be a quickly met goal. Very impressed, Mike. Thanks for taking time away from other important things 🙂 to put up all of these pics and the video. Love you! Excellent post, Mike. What a wonderful experience for you. Glad you could use the pictures! Thanks for putting these pictures on a website. I only wish my Dad, who died last August, had been able to see these. He served on the Bibb 1944-46. Only in his last years did he tell us stories. He loved his ship and his friends. Thanks for making the Bibb special. Hopefully I’ll get to dive her again. She’s in amazing shape and doing well. I’ll post any new photos the next time I get to go! Quite strange to see the old gal beneath the sea. 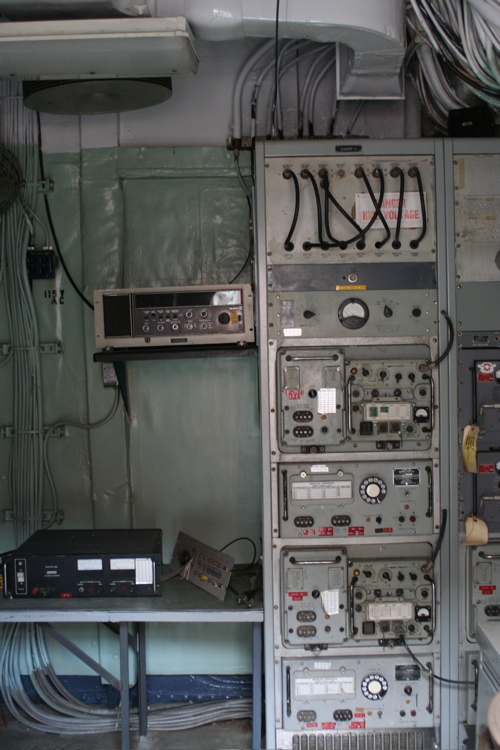 I entered those hatches, scraped and painted those bulkheads outside the radio room, and climbed those ladders in the early 60’s. Glad she had a fitting burial at sea. She earned the rest.